Ruby Heights, Flagship’s newly acquired building, located in the North York district of Toronto, has a modern flare, with bright and spacious apartments. 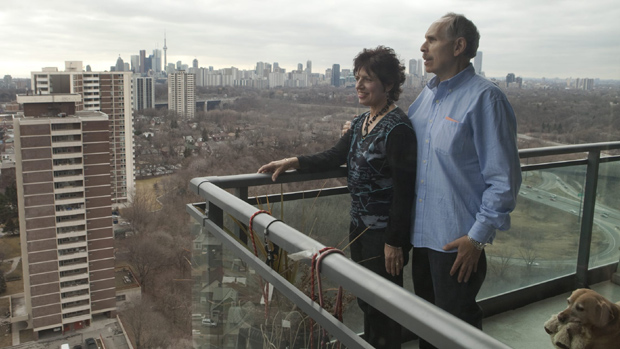 Nestled in between Finch and Sheppard, just off of Jane Street, this socially and ethnically diverse neighbourhood has lots to offer the community. 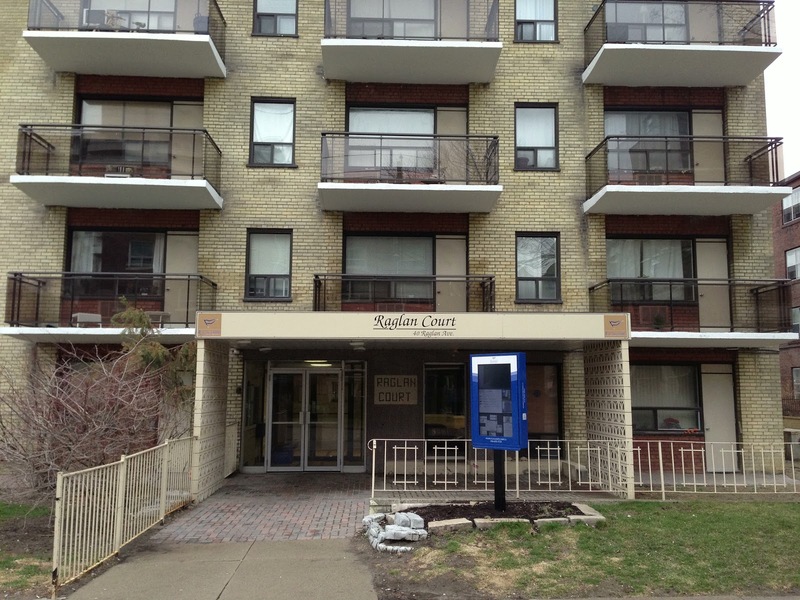 Ruby Heights is located on a quiet residential street, steps from the TTC bus stops and a short walk to Topcliff Park. This building is a commuter’s delight, with easy access to all major highways, commuting to downtown is a breeze. Ruby Heights is also within walking distance to many schools, and daycares. Not to mention, a short bus ride to York University, or Seneca at York. The building is surrounded by lush green lawns, mature trees, and beautifully maintained flower beds. 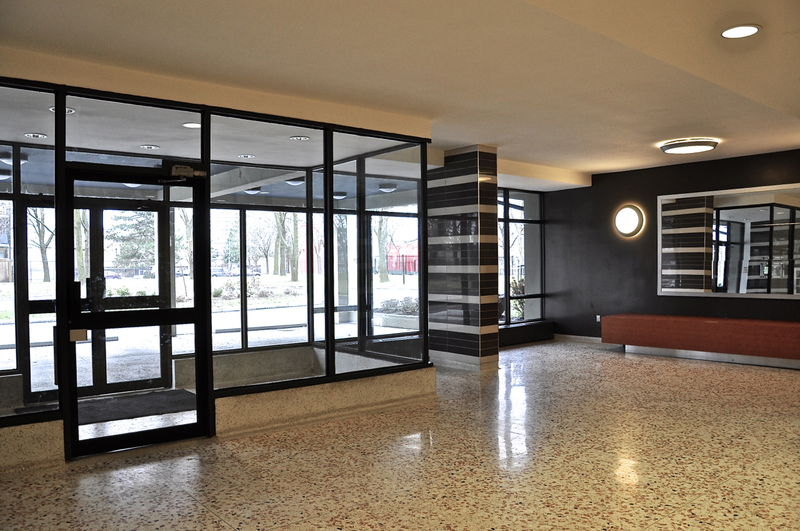 Ruby Heights also has a large modern lobby, and newly renovated laundry room with new front load washers. 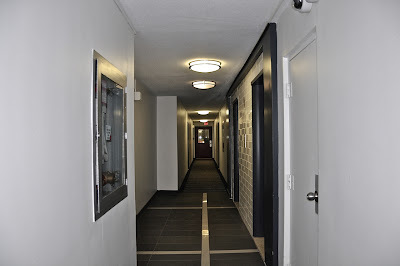 There is truly nothing else like Ruby Heights it the area, from its update corridors, to freshly painted and renovated suites, it is definitely a show piece. Like all of our buildings, Ruby Heights has on site staffs who attend to all maintenance issues in a timely manner. 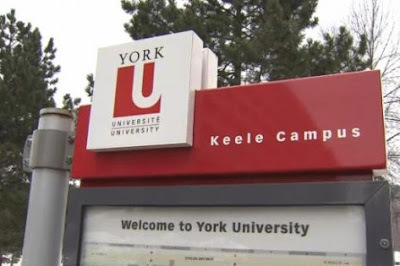 The area is known for its diversity and multicultural restaurants, shops and recreation centres. The popular variety store, Gustito de Mi Tierra, catering to the Latin community offers a wide range of Spanish products, from candies, frozen goods, colas, cheeses and sometime even fresh baked good, including empanadas. 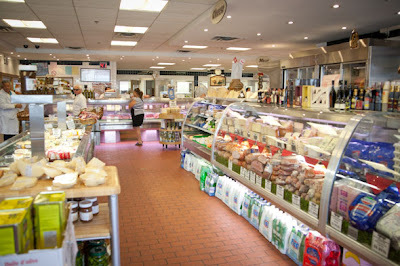 There is also the well-established, Eddystone Meats, that has been in the neighbourhood since 1972. This community favourite offers a fresh variety of meats, cheeses, pastas, cookies, olives, olive oils and much more. There is also a hot table at the other end of the store that serves, hot sandwiches, veggies, etc. Two of the most popular items served are their famous porchetta, and delicious espressos. 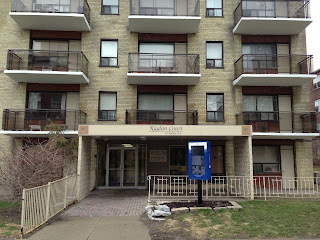 Ruby Heights is also surrounded by parks, trails and community centres. Driftwood Community Centre located just north of the building has become the community hub. Offering recreational activities, like outdoor swimming facilities, playground, basketball courts, and an indoor gymnasium. The centre also offers a wide range of programs for youth and adults, such as arts, fitness, sports, summer camps, and dance. The facility, also has 2 computer labs, and offers a variety of computer programs for adults to learn and develop skills. 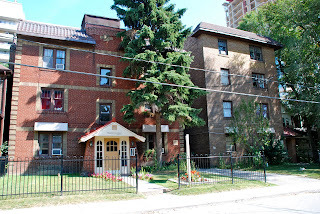 So if you are searching for an apartment in the northern part of Toronto, Ruby Heights is perfect for you. Visit www.flagshipcorp.ca to schedule your showing today. Have you spent countless hours surfing the internet trying to find the perfect area and building you can call home? Searching for a comfortable size apartment located close enough to downtown without the large office buildings, honking horns and sirens? Moving to the big city can be challenging but finding the perfect neighbourhood makes it easier to adjust. Flagship is confident you will have no problem settling into this great neighbourhood nestled nearby Bathurst and St. Clair. 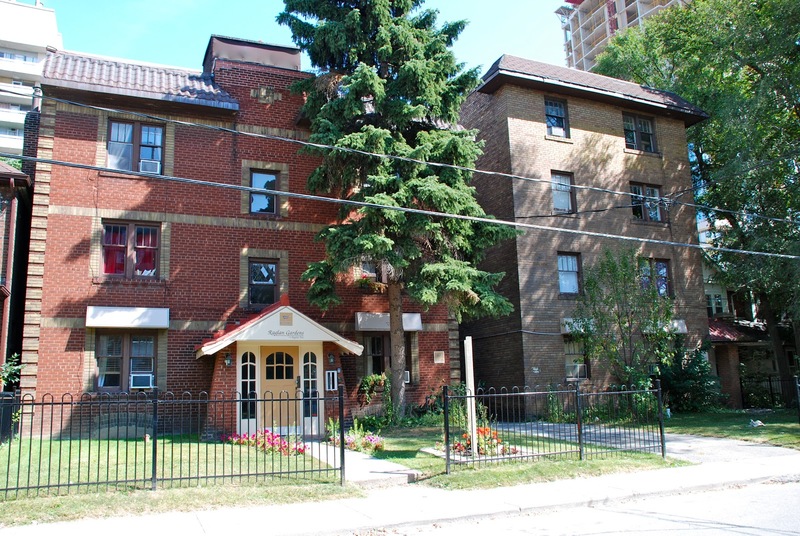 ﻿﻿This area is located close to the popular Forest Hill, close to Little Italy, Casa Loma and a short commute to the downtown core with TTC bus and subway service practically at your door. 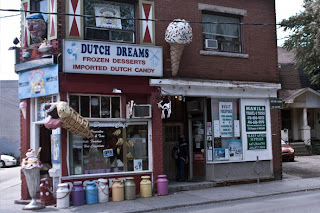 Raglan Gardens is located steps or a short walk from the popular self-serve frozen yogurt shop Menchies, ice cream icon Dutch Dreams, Harvey’s and all the other favorite fast food restaurants, Pizza Del Arte, Starbucks, the popular Stockyards, banks and Loblaws. 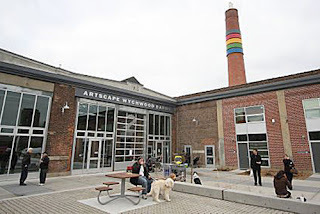 Raglan is also located close to the Artscape Wychwood Barns. This century-old former street car repair facility has become a welcoming community cultural hub. The Barns offer a wide range of activities, mixed art, culture, food and recreational space. The City of Toronto Parks, Forestry and Recreation have developed the park area that surrounds the Barns. The park features a children’s play area, a sports field, a beach volley ball court, an off leash dog area, a natural ice rink in the winter, and picnic tables. The final bonus that makes this community worth moving to is living in one of our Flagship Properties. We have several options in this neighbourhood that are sure to please you, from three-story to seven-story buildings. Each with extensive landscaping well maintained front lawns, mature trees, and gorgeous flowers. Not to mention, the mix of Victorian and Colonial elements that make our smaller buildings such a charm. Add to that a dedicated staff who make your rental process and maintenance needs stress free. So don’t waste another minute and visit www.flagshipcorp.ca and schedule a showing today, you won’t be disappointed. Be sure to view our property videos and view 3D floor plans and see exactly what your unit will look like and where to place your furniture. 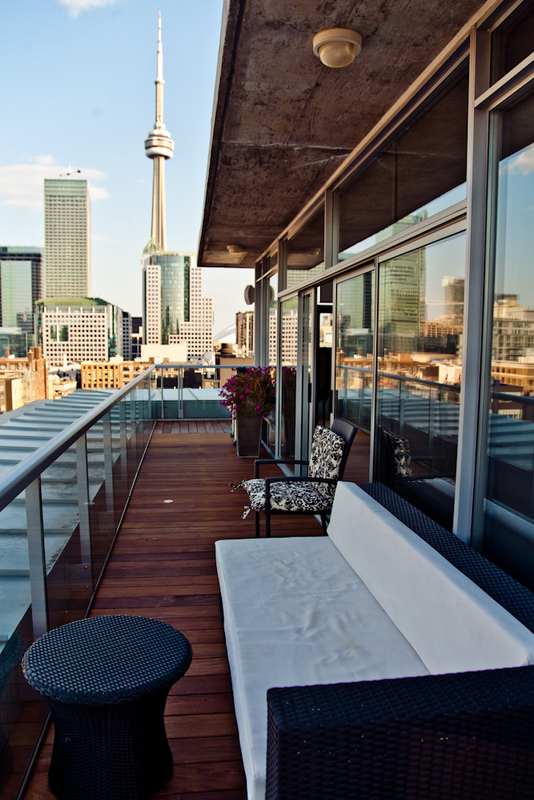 With warmer weather around the corner, the start of the Balcony Season is near. Here are some Do’s and Dont's to remember this season. · Be respectful of neighbours. When using your balcony be respectful and try not to create noise that might disturb your neighbours. If your neighbour asks you to lower down the noise, do so politely. · Be a responsible smoker. If you use your balcony to smoke, check with your neighbour and make sure they are not bothered by second-hand smoke before smoking while they’re outside. Also, NEVER throw cigarette butts off the balcony and always use an ashtray. · If you have young children, make sure the balcony door locks and that you have no items on the balcony that kids can use to climb which will reduce the potential for a dangerous fall. 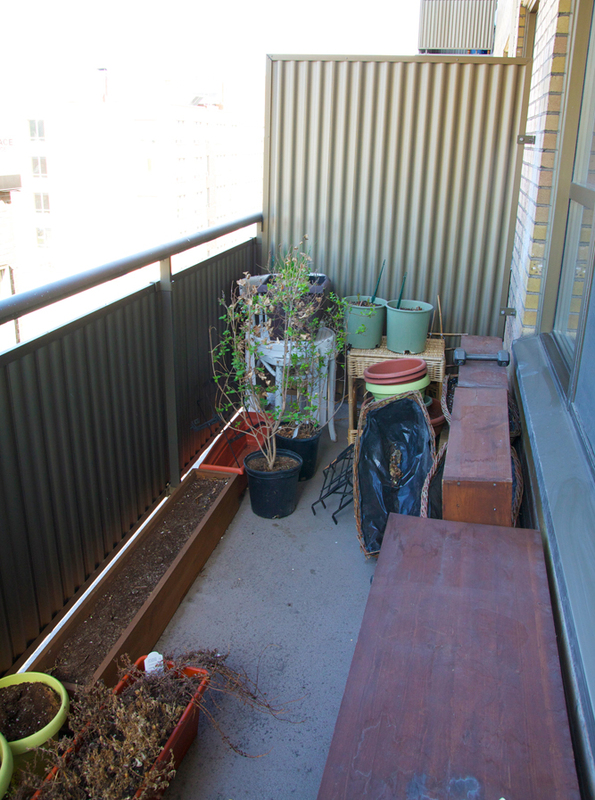 · Don’t store items on your balcony or use your balcony to hold garbage. This will attract unwanted guests, and as the weather gets warmer garbage on the balcony will cause an unbearable stench and both you and your neighbours will be unable to use their balcony. · Don't throw anything off balcony. Throwing any items off the balcony can be extremely dangerous. You could accidently hit someone or something causing unwanted damage and harm. This will also cause a huge mess around the building. · Don’t leave children or pets alone. Always supervise children while on the balcony and never leave them unattended. A split second is all a child needs to climb up on that chair to try and look over the railing. Leaving pets unattended can be dangerous as well. Always watch them and NEVER let your pet use the balcony as a washroom. Not only is this unsanitary but the smell will be awful and neighbours won’t be able to use their balcony. · Don't put carpets on the balcony. Having a carpet on the balcony seems like something stylish but the carpet will get wet. Wet carpets WILL damage the concrete. 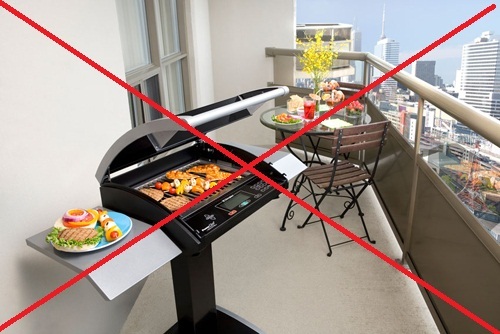 · Having a BBQ on your balcony is illegal in the City of Toronto! This season be responsible, respectful and considerate of others when using your balcony and enjoy the sunshine and fresh air. 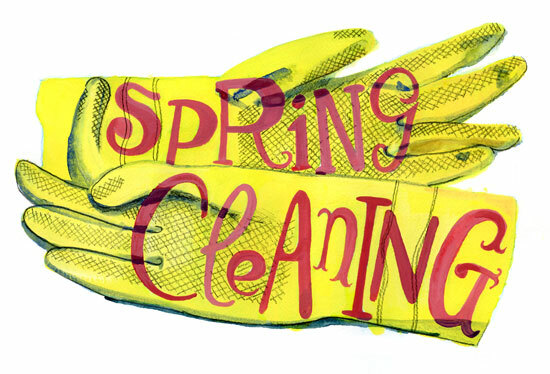 Spring is your chance to turn a grimy apartment into a spotless oasis. 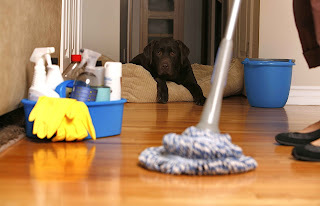 But it isn’t easy, especially if you do things that actually make your apartment dirtier in the process. Here are some great tips to help take the headache out of Spring Cleaning and avoid those common mistakes. Make a plan; write down what areas of your apartment you’re going to tackle. Start with the more complicated areas first, like your kitchen and bathroom. Put all your cleaning supplies in a bucket and take with you from room to room, so you don’t waste time running back and forth for supplies. Do you share your apartment with a roommate, or family? 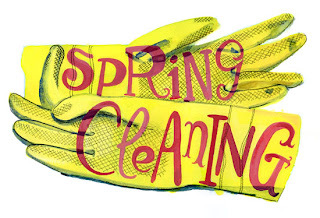 If so set a date when you can tackle the spring cleaning together. Don’t take on the whole apartment by yourself if you live with someone else, share the cleaning. If you have different schedules that don’t allow you to clean together, then divide the apartment up evenly, one of you gets the kitchen and someone else gets the bathroom etc. Make sure to set a date when the cleaning should be done by. Cleaning your apartment can be quick, but people usually take longer because they don’t have the tools. Apartments are smaller than a house, and generally more difficult to store a stock of cleaning supplies but keep a few items on hand. Air fresheners, multi-purpose cleaning liquid, and microfiber cloths are few items to stock up on. Make sure you use a microfiber cloth when dusting you apartment, microfiber grabs and removes dust oppose to other cloths that just push dust around. Use a vacuum with attachments to clean floors, and upholstery and tight spaces. And if you really want to go the extra mile, buy a small Steam Mop to use on floors, this will help your floors stay cleaner longer and it doesn’t require any chemicals. If you’re working all day to clean your apartment, you might get tired before you finish the whole place. There are some easy tips that will help speed up the cleaning process or make that stubborn grime easier to remove. First, dust surfaces with a microfiber cloth so you don't have to use cleaning solution. When cleaning tubs and sinks, apply the cleaning solution and let it soak for 10 minutes before wiping the surface. Remove baked-on food in your microwave by filling a glass with water and heating the liquid on high for one minute; the steam will loosen stains, making it easier to clean. To ease toilet-bowl scrubbing, drop two Polident denture-cleaning tablets in the bowl and let fizz for 10 minutes. 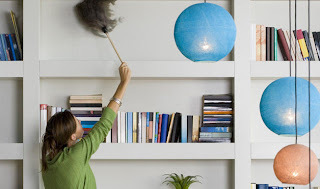 Light Fixtures: Use a damp cloth to wipe away dust build up on your light fixtures. It might be easier to do this when the lights are off. 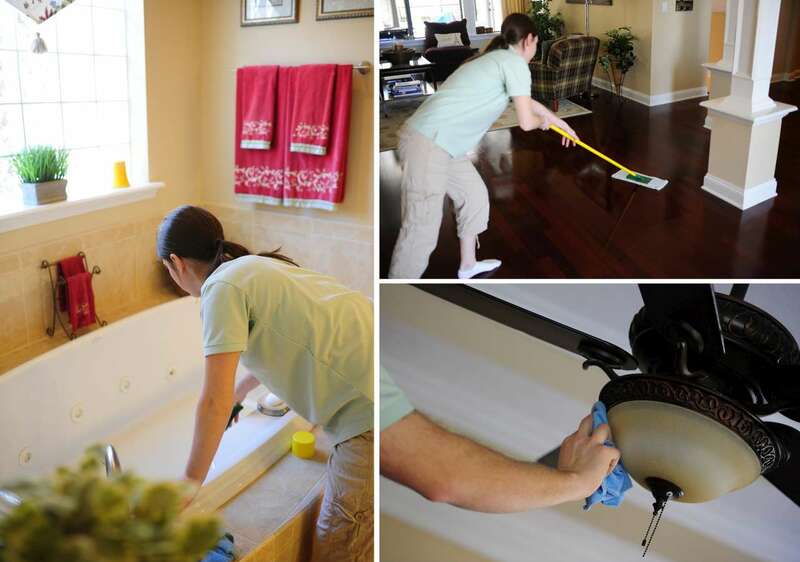 Don’t only dust off the outside dust from your fixtures, also remove shades and dust inside. You’ll be surprised how much dust builds up inside your ceiling fixtures! Window Blind: Shut your window blinds and dust clean with your microfiber cloth. Then shut the blinds in the opposite direction for a quick, complete wipe down. Remove any spots with a wet cloth and a multipurpose liquid cleaner. Trash Cans: Remove the bag and sprinkle baking powder in the bottom of the can before adding about two inches of water. Allow the mixture to sit and then swish it with clean water. Wipe down the sides and rinse. Dry it with paper towel or let air dry. 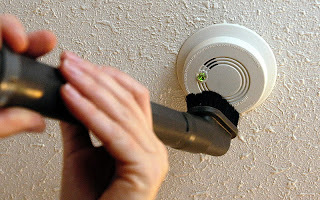 Smoke Detectors: Dust off your smoke detectors and make sure there is no build up on the outside surface. Don’t forget to make sure your smoke detectors have working batteries. Keep batteries in stock so you never have a non-functioning smoke detector. If you’re wondering why you have streaks on surfaces, then blame a soiled cloth. Keep a stack of clean cloths nearby and switch them out frequently. But you don't need piles of microfiber cloths, as you can clean them. Just rinse in clean water and wring out. If you're dusting, use a dry microfiber; then hold it inside a garbage bag and shake it to remove the dust. If you’re using a wet cloth to clean an area, rinse it often and re spray your liquid cleaner on the cloth. Try putting a cloth or shower cleaner in the shower and give the walls a quick wipe down to minimize build-up after each use. Line bathroom and bedroom trashcans with plastic shopping bags avoid residue. Ask roommates or family members to spend five to 10 minutes each night putting away clothes, shoes, mail and other items that clutter the space. 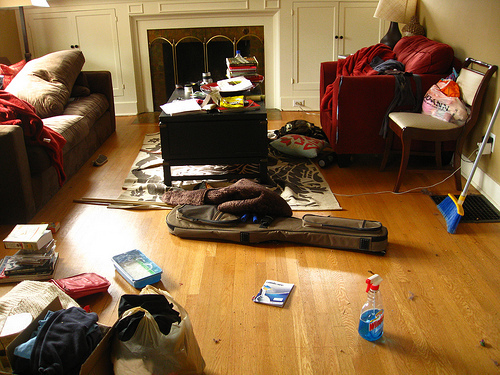 By keeping clutter to a minimum, you'll spend less time preparing to clean. 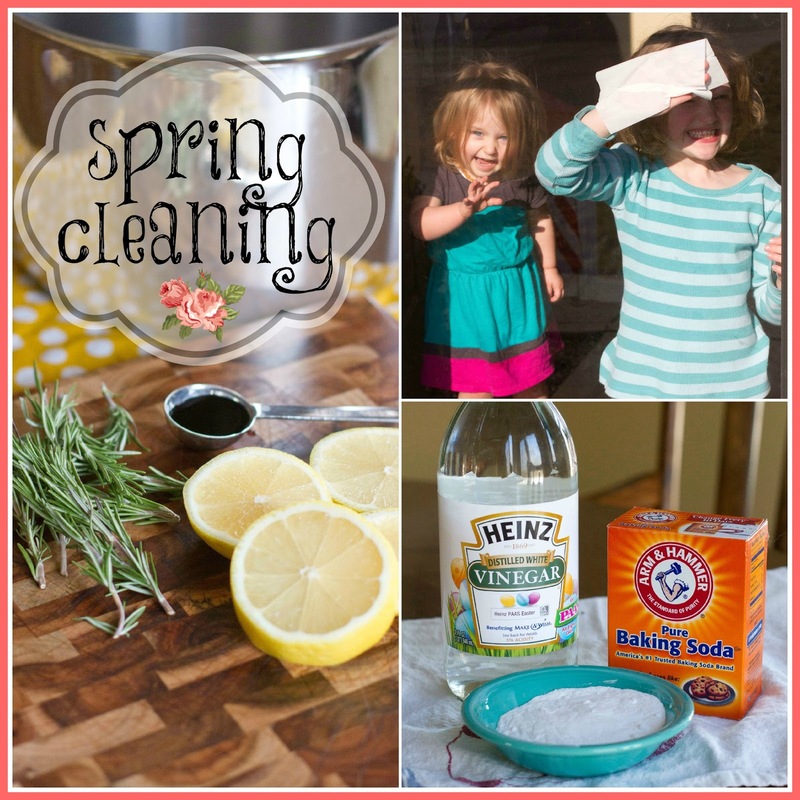 Finally, don't make cleaning a weekly or bi-weekly chore. Spread tasks throughout the week, tackling one room at a time.